Team boss Eric Boullier says Kimi Raikkonen has shown himself to be a ‘special animal’ for the way in which he has put together a championship challenge on his return to F1 this season. Having joined Lotus after two years away, Raikkonen has produced an impressive campaign to lie third in the standings heading to Suzuka, with six podium finishes leaving him 45 points behind Fernando Alonso despite the fact he is the only driver in the top seven not to have won a race. Speaking ahead of the Japanese Grand Prix, Boullier said that fact was an indication of how well Raikkonen had been driving this season, with the aim being for the Finn and team-mate Romain Grosjean to keep picking up points to help the Enstone-based team in the title race. “Kimi is a special animal,” Boullier said. “His racecraft is always fantastic; he manages to extract 100% from the car on Sunday and to make the most of every opportunity. Who would remember, today, that he’s been out of this sport for the last two years? WCC?They are giving up on WDC? Eric is an idiot for not getting STRATEGY right for his ‘special animal’. 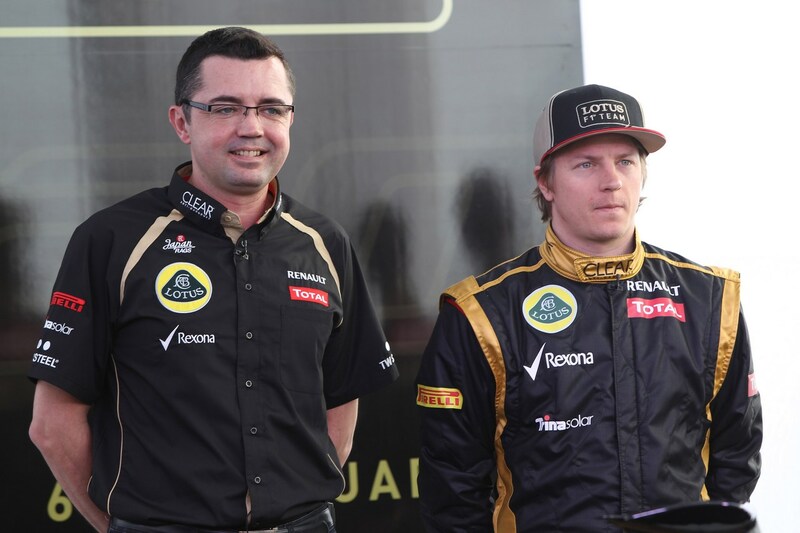 Contrary to what they have us believe, Lotus F1 Team is certainly not a well-oiled machine. Kimi has lost the championship because of Boullier’s arrogance.